A liquid explosive detector systems approved by the UK Department for Transport for use in aviation security. A liquid explosive is easy to pass off as something harmless. 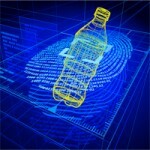 The Kromek liquid explosive detector makes it easy to screen any liquid while keeping the packaging and the bottle intact and sealed. 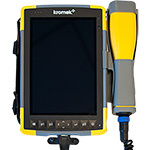 ECAC approved to the highest European performance standard, Type B Standard 3, the Kromek Identifier liquid explosive detector is an easy to use, fast, reliable and cost-effective system for screening liquids, aerosols and gels (LAGs) in all types of containers presented at airport transit and any other central checkpoints. The Identifier liquid explosive detector is specifically configured to identify the presence of hazardous liquids (explosives, precursors and component parts), aerosols and gels in sealed containers between 100ml and 2000ml. Threats are measured against a secure, customer-specified database, which can be easily upgraded as new threats emerge. The system was developed to meet the specific challenges for the aviation security market and ports of entry and exit to identify the presence of hazardous materials within containers. 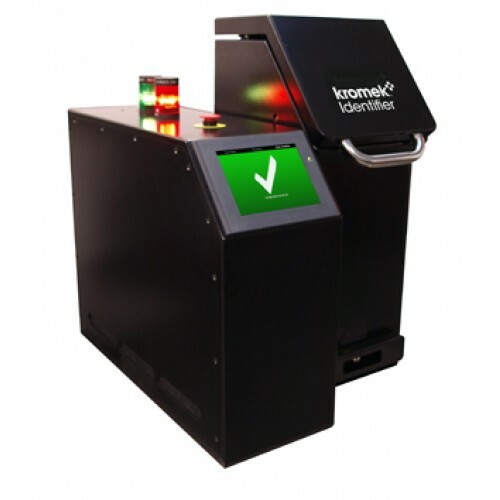 The Identifier can also be used for specific threat screening for facilities, buildings, perimeters and events. A pocket-sized RIID gamma neutron detector that offers gamma ray and neutron detection made for CBRNe and other security personnel.